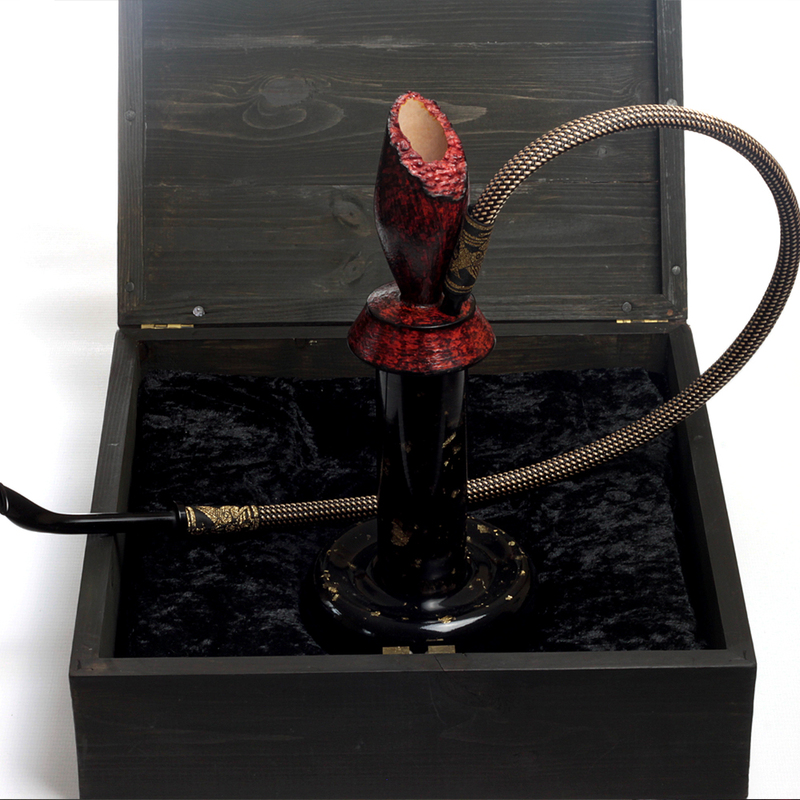 The Alhazred Calabash desk pipe is the ultimate in smoking luxury. 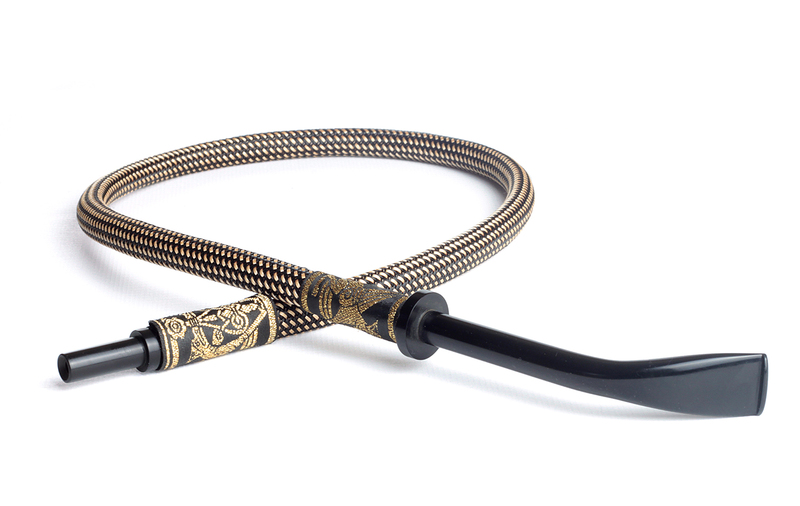 Influenced in design by a certain Arabic style pipe; this pipe nevertheless boasts all the hallmarks that a collector of handmade pipes would look for. 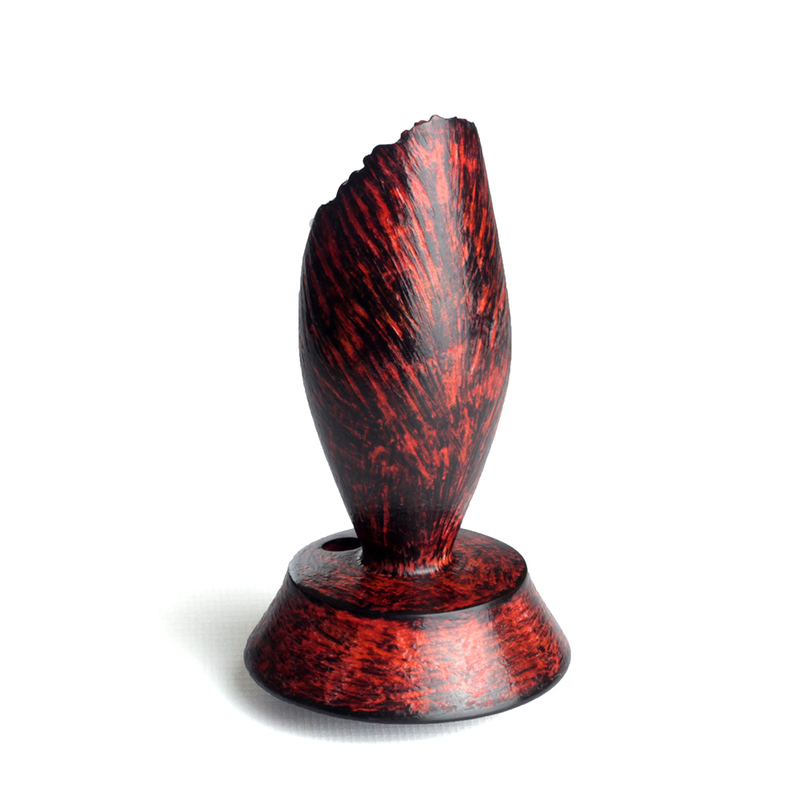 The tobacco bowl is briar drilled with a 0.75” tobacco chamber, 1.6” deep – it promises to deliver a long smoke and will work especially well with flake tobaccos. 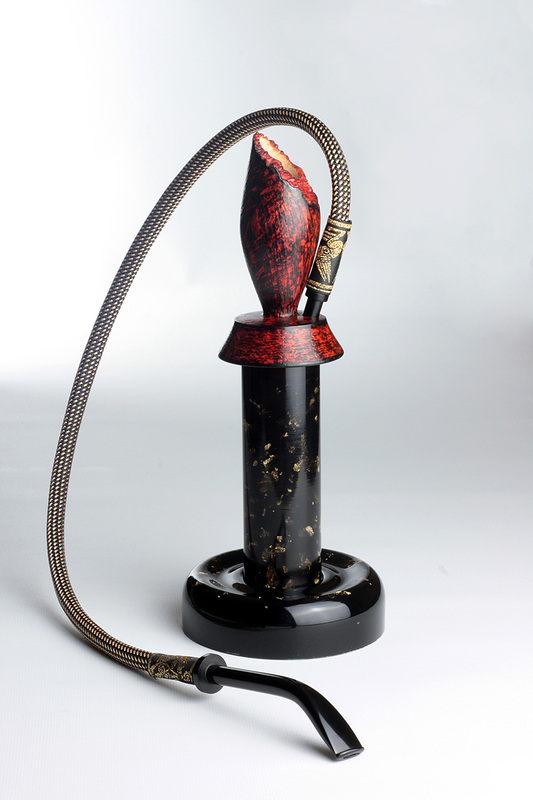 A delrin tube takes the smoke to the bottom of the calabash chamber. 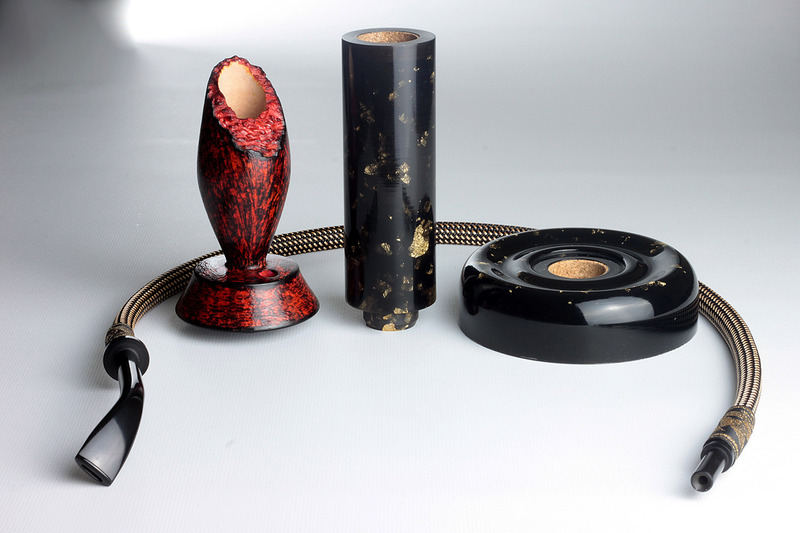 The calabash column is hand cast in black acrylic with gold leaf. The opening is lined with cork to give a smooth but tight fitting for the briar bowl. The calabash chamber is 0.86 in diameter and 3” deep. 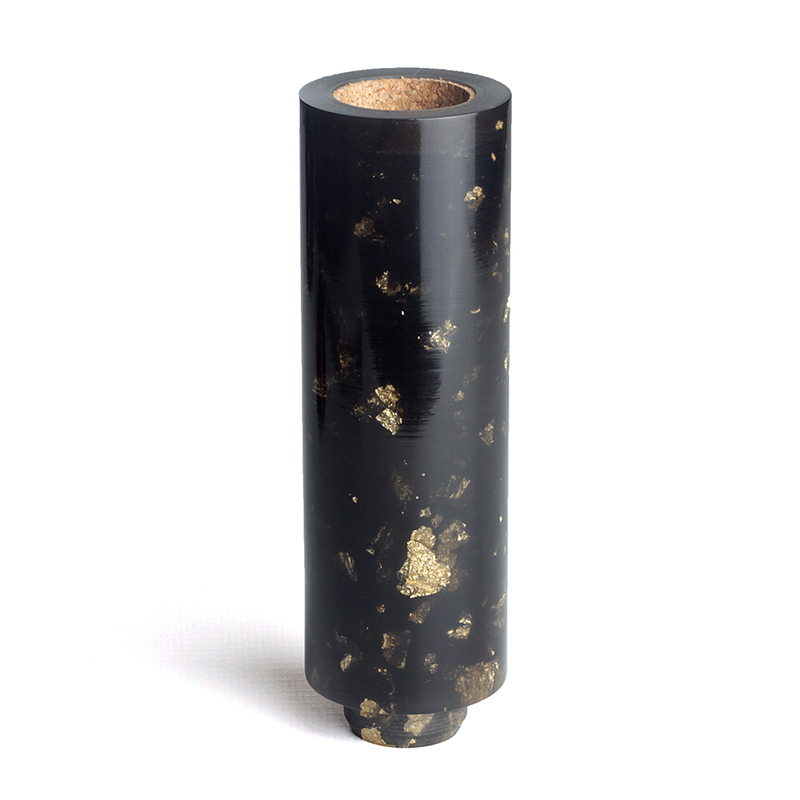 The base is hand cast in black acrylic with gold leaf to compliment the column. 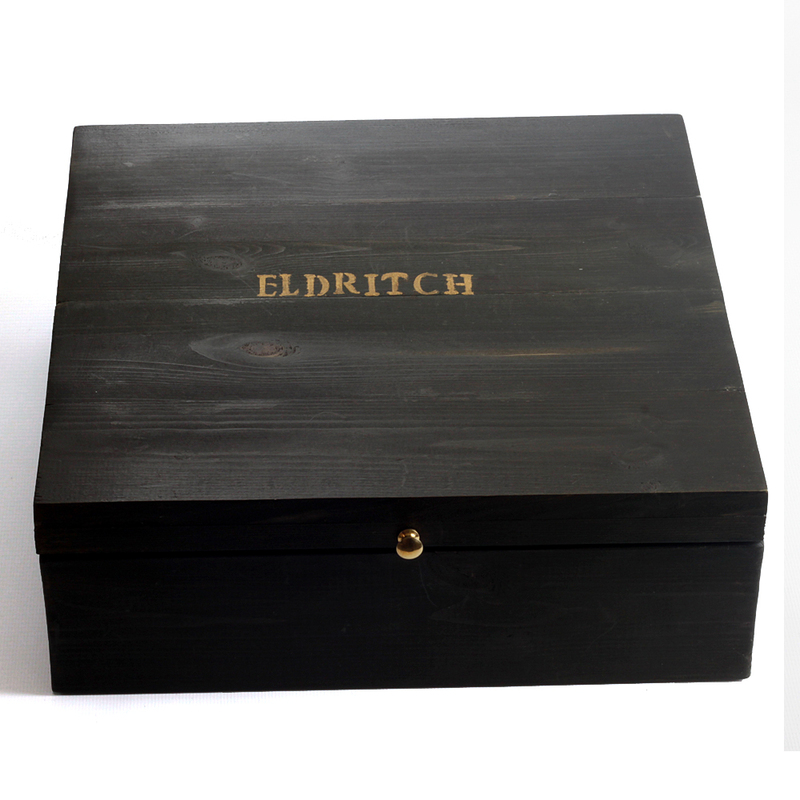 The fitting is lined with cork and provides a snug, solid fit. 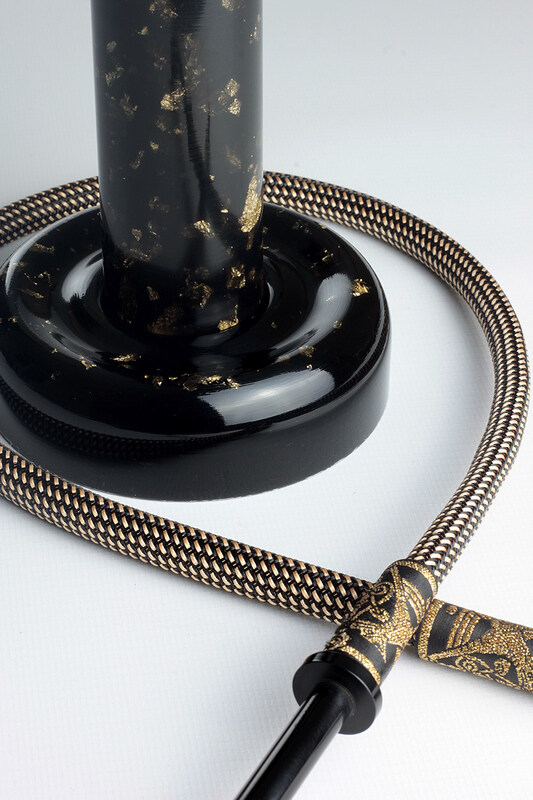 The flexible stem is 28” long, made from food grade silicone and sheathed in black and gold polyester braid with black and gold Jacquard silk trim. 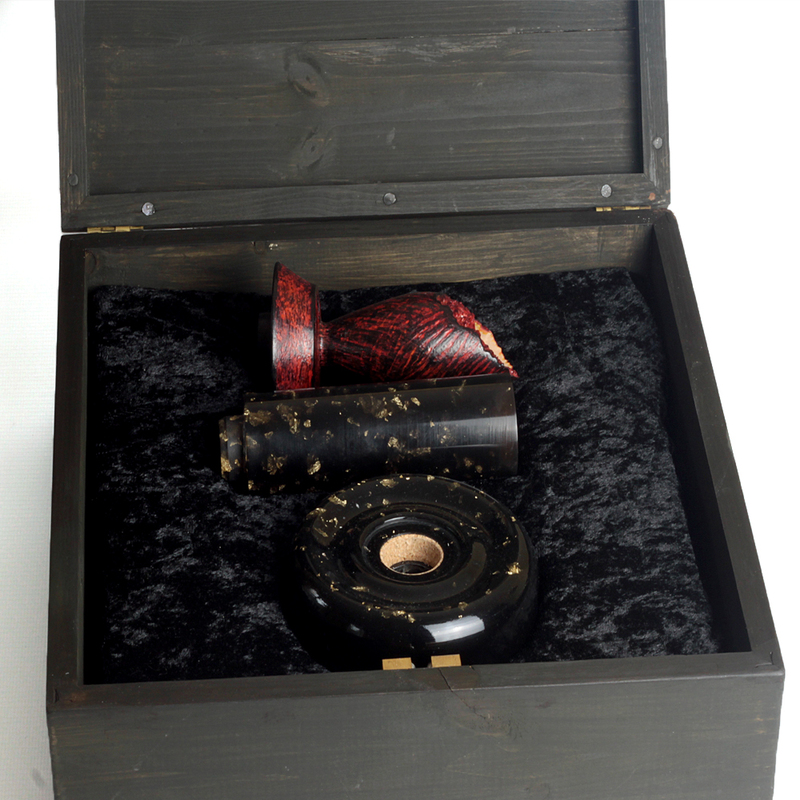 The tenon and mouthpiece are carved from premium German ebonite. The mouthpiece is made to the same exacting standards I make for my briar pipes. It is a thin, comfortable bit with flared airway with a full bend in the style of a ‘hands free’ pipe. 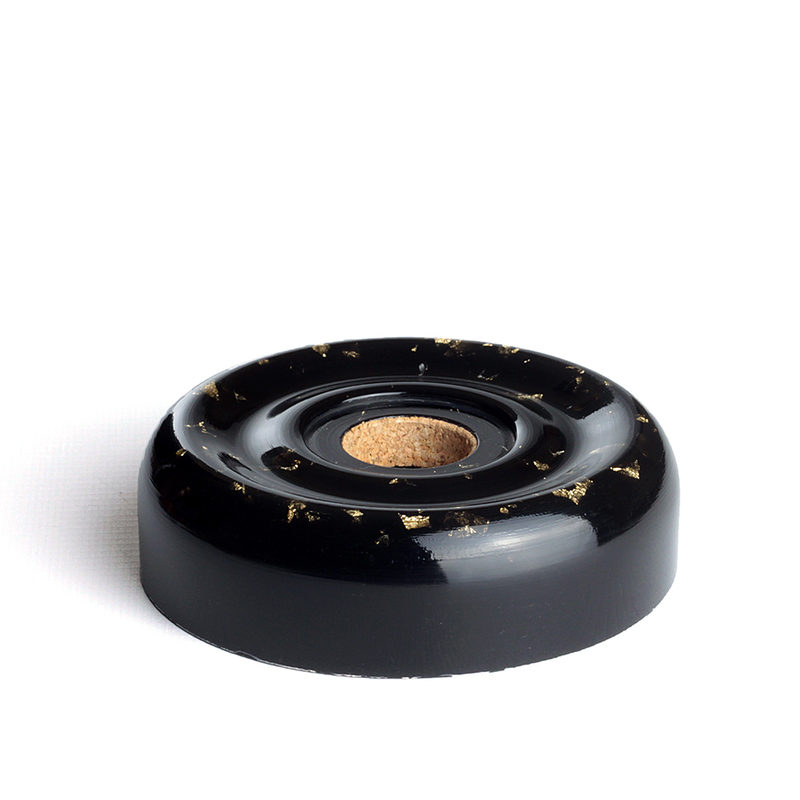 The bowl, column and base assemble easily and separate again to be packed away tidily in its custom made box lined in crushed black velvet.